On Wednesday night Cassper Nyovest was the star during the 2017 SA Hip Hop Awards when he took home 6 awards. 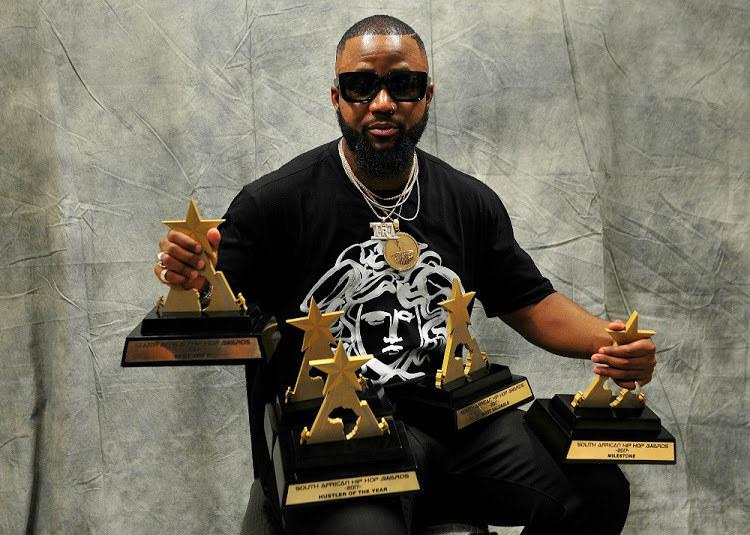 Cassper walked away with the Album of the Year‚ Hustler of the Year‚ Best Male‚ Best Video and Most Valuable Performer awards during the ceremony. He also scooped the Milestone Award for his Fill Up Orlando Stadium show that he held late last year. Apart from all the jaw dropping moments that took place, the awards truly celebrated SA hip hop to the core which the game can truly respect. S/O to Shane for scooping that Freshman Of The Year award and Kwesta for getting that Song Of The Year too.